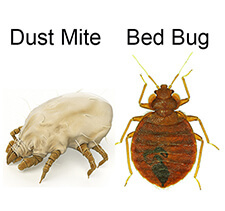 The most difficult parts of a bed bug infestation are identifying the problem and finding a really safe solution. I was struggling with their impact on my sleep and the electric bites that recurred during the day. Once I identified a bed bug I took to the internet to review the research on control. The research supported the Bed Bug Barrier solutions and, just as importantly, my key principle of doing no harm. By following the instructions carefully the BBB products immediately stopped us being bitten, ensured the bugs remained confined to the room they were in and to date (- over a year) there’s been no recurrence. The cost was lower than the alternatives that I saw as a risk to my family. Very happy with the result and very happy to recommend.